Product prices and availability are accurate as of 2019-04-14 02:30:53 BST and are subject to change. Any price and availability information displayed on http://www.amazon.co.uk/ at the time of purchase will apply to the purchase of this product. 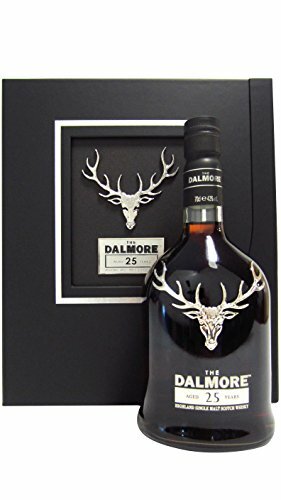 The Dalmore 25 is released in very limited quantites. They only make 3000 bottles of this globally per year. For consistency of flavour, master blender Richard Paterson uses whiskies range from 25 years old to 33 years old. This 25 Year Old Dalmore Single Malt is matured in a mixture of American Oak Bourbon Barrels, Tawny Port pipes, and sweet Palomino Fino Sherry Casks. 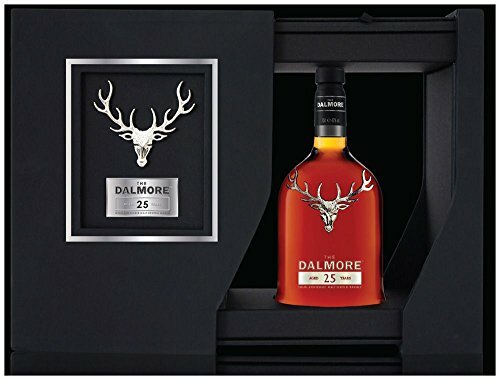 This is a superb dram and very elegantly presented in a beautiful box. 70cl Glass Bottle ABV: 42% Scotch Malt Whisky from the Highlands of Scotland Savour it neat, on ice, with a mixer or in a cocktail. It is an offence for any person under 18 years to buy or attempt to buy alcohol. Please drink responsibly.